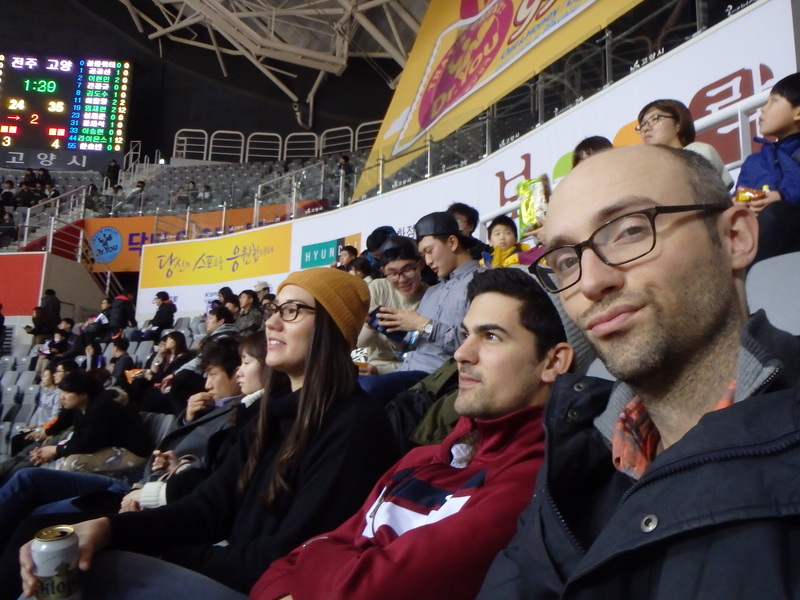 Now that I’ve finally finished writing about our vacation in Cambodia, I can get back to the things we’ve been doing in Korea. 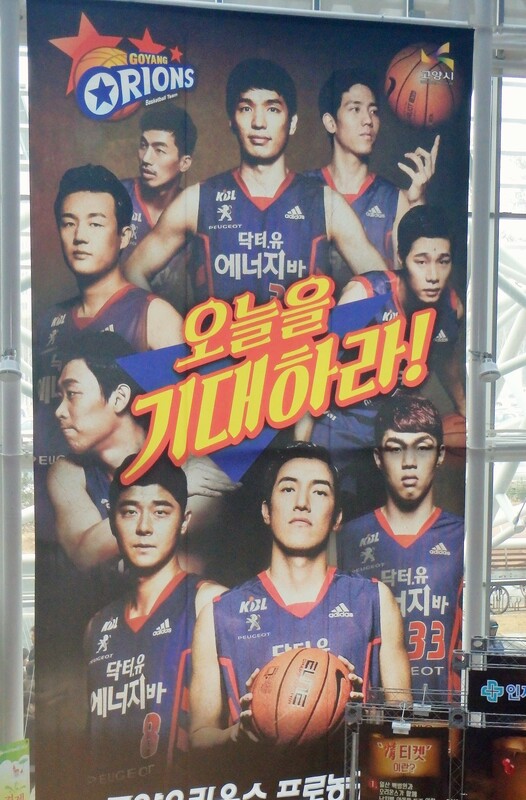 Last Sunday we decided to check out a Korean Basketball League (KBL) game. 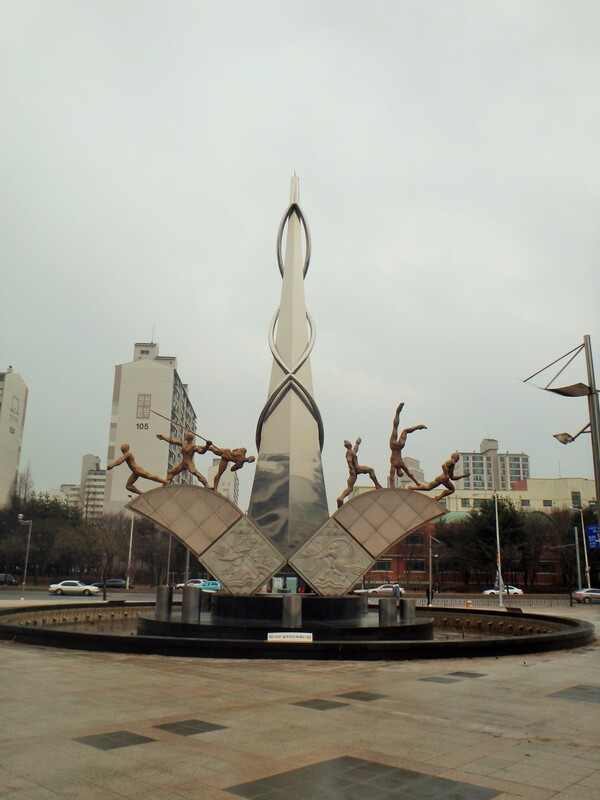 It turns out that our city has a team, the Orions (pronounced Oh-ree-on-suh). 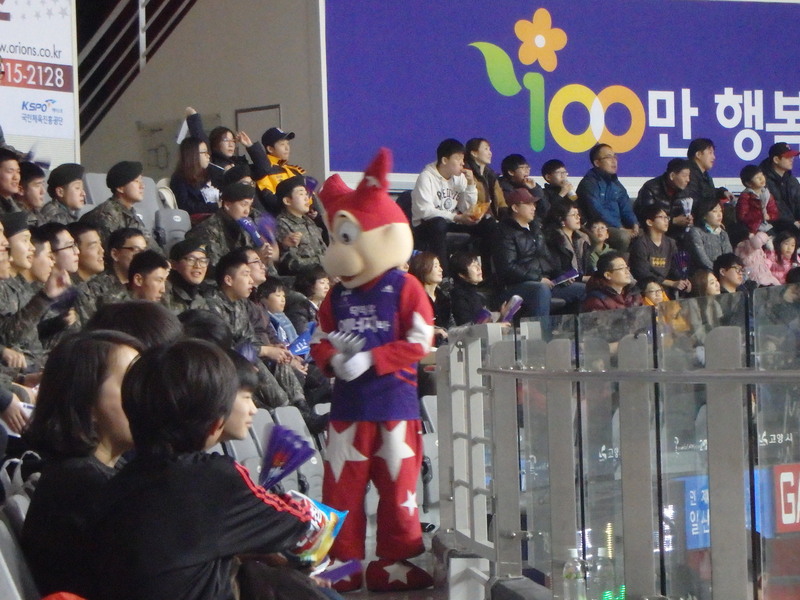 Unfortunately, like most things in Korea, we couldn’t buy tickets online so we had to hope for the best when we showed up to the game. 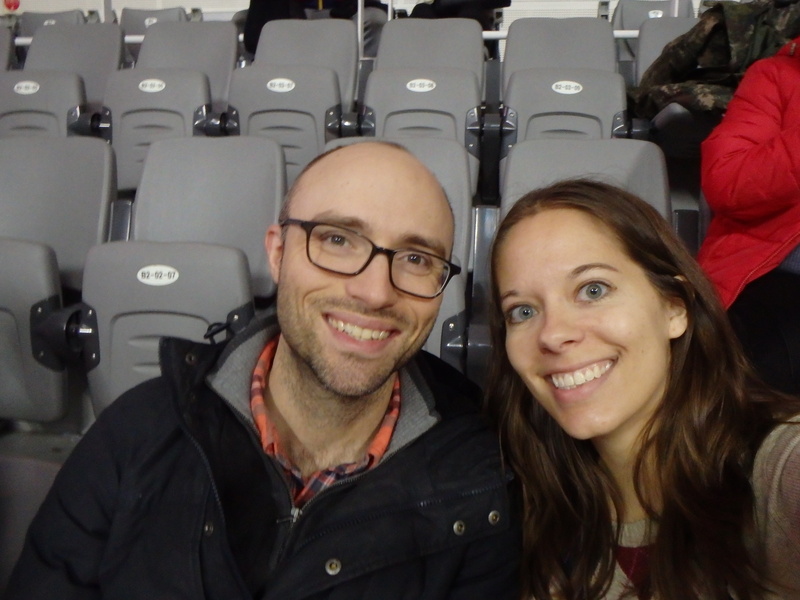 Luckily, we ended up with pretty decent seats and it wasn’t too difficult to buy the tickets. 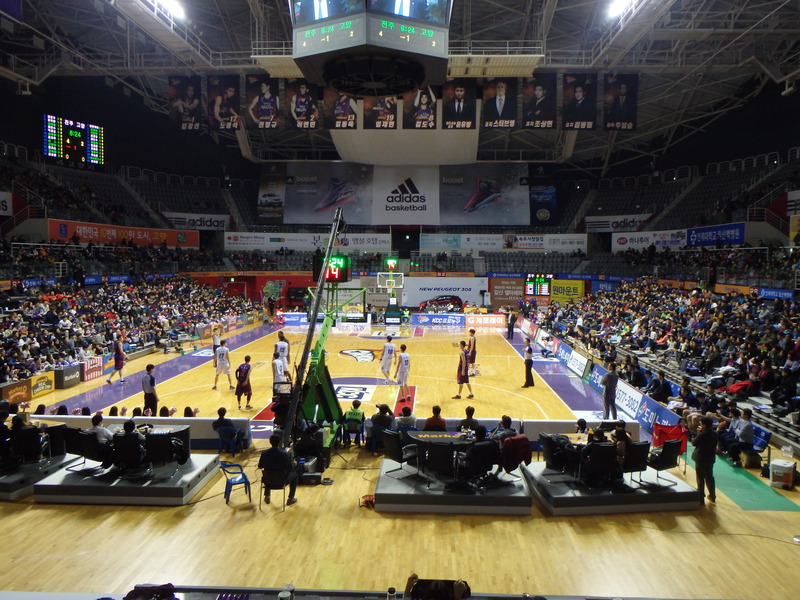 The arena felt incredibly small compared to the AT&T Center in San Antonio (GO SPURS! ), but was lively and rather cozy. 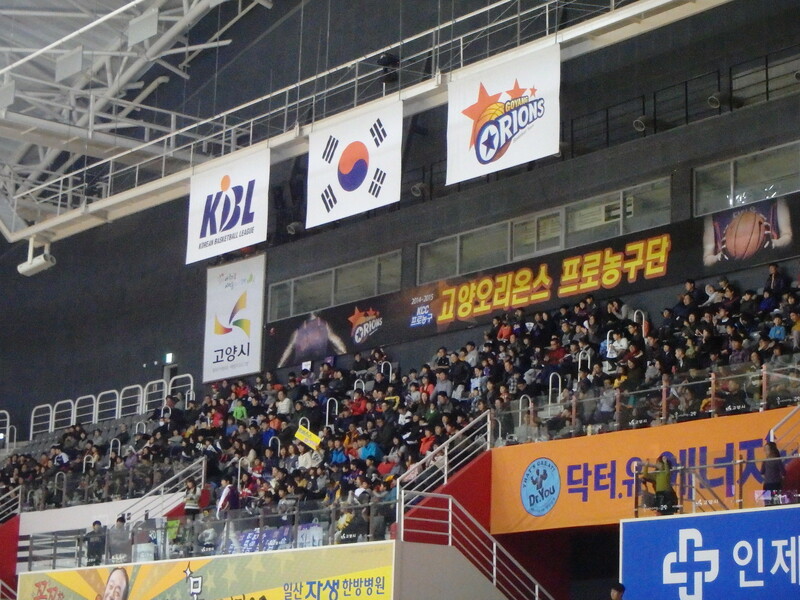 Unlike the hockey game we attended, there were lots of people in attendance and food! 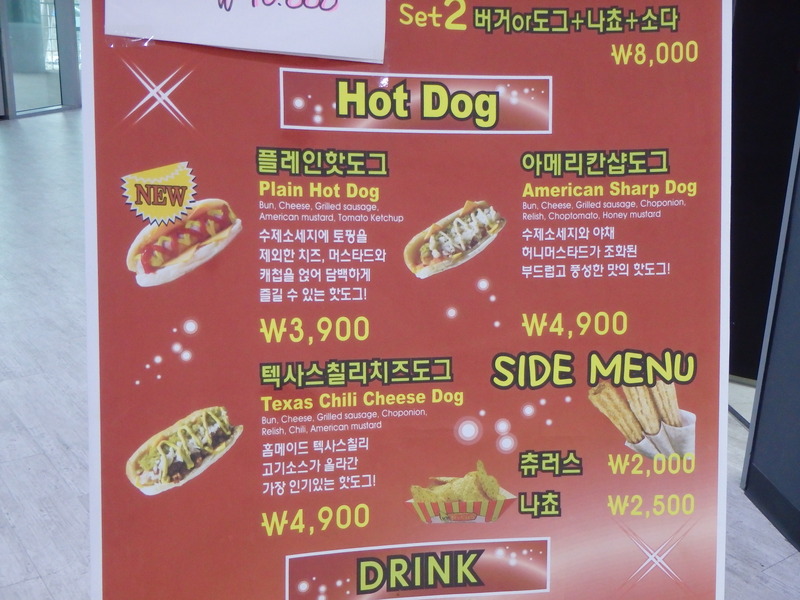 We have slowly learned that concessions aren’t treated the same way in Korea as they are in America. 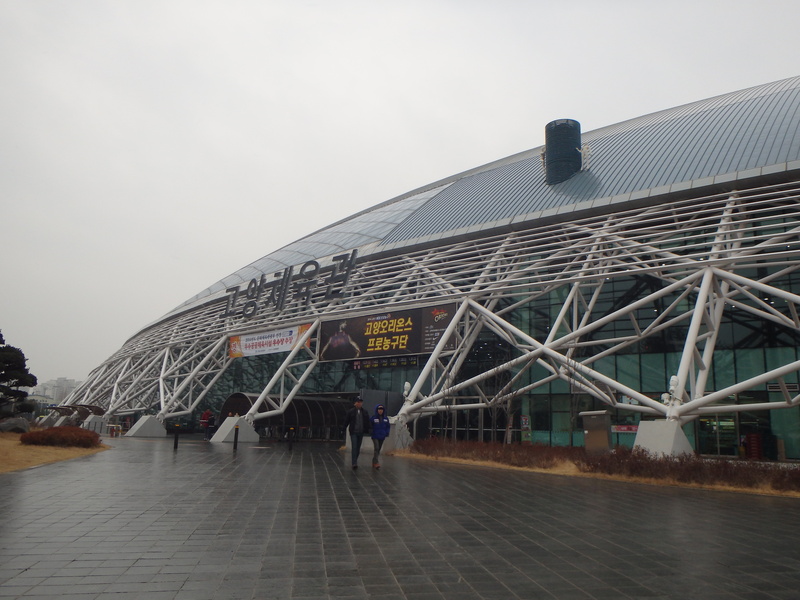 Here you can bring snacks and drinks with you into the arena, no problem! In fact, there was only one actual concession stand. 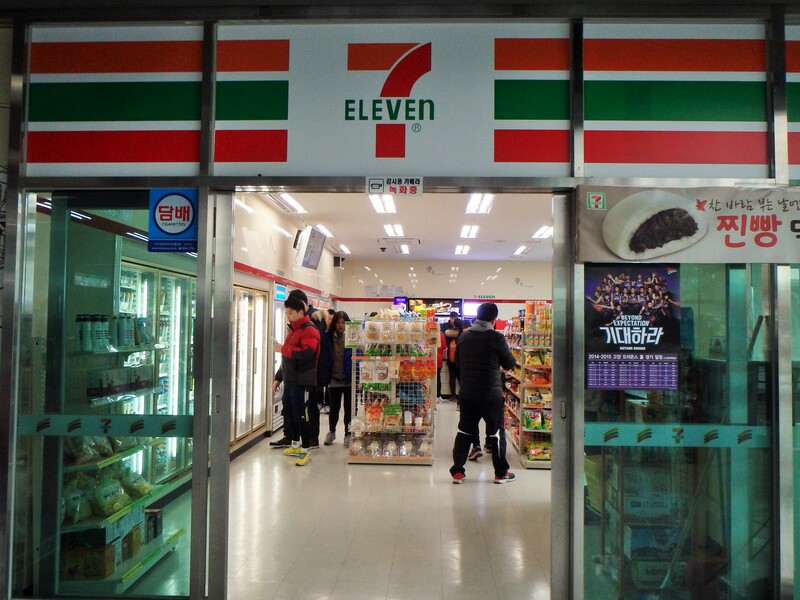 Everyone either brings their own food or they buy it at the 7/11 just inside the front door. (This concept applies to movie theaters, too. You could bring in a meal from Mickey D’s and they wouldn’t care.) So we bought some tall boys and snacks at the 7/11 before making our way upstairs to our seats. 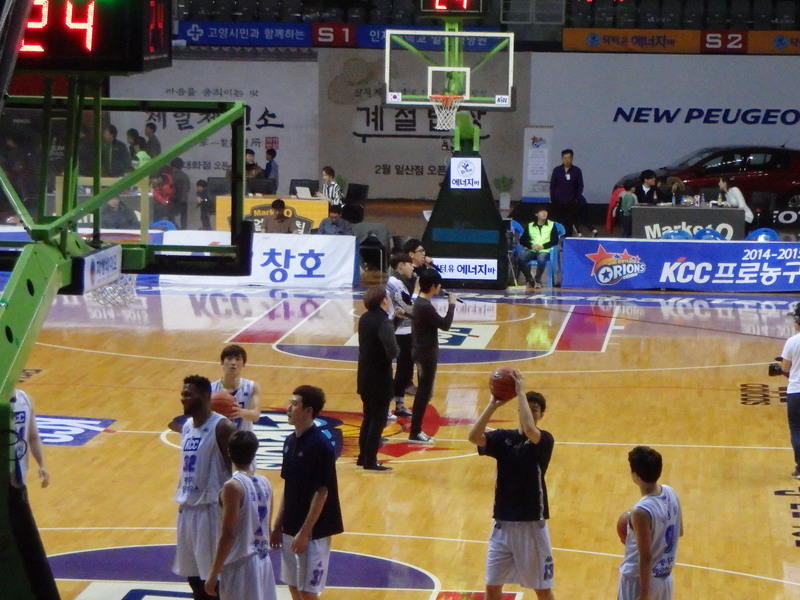 The seats were pretty great for only paying 11,000₩ each. 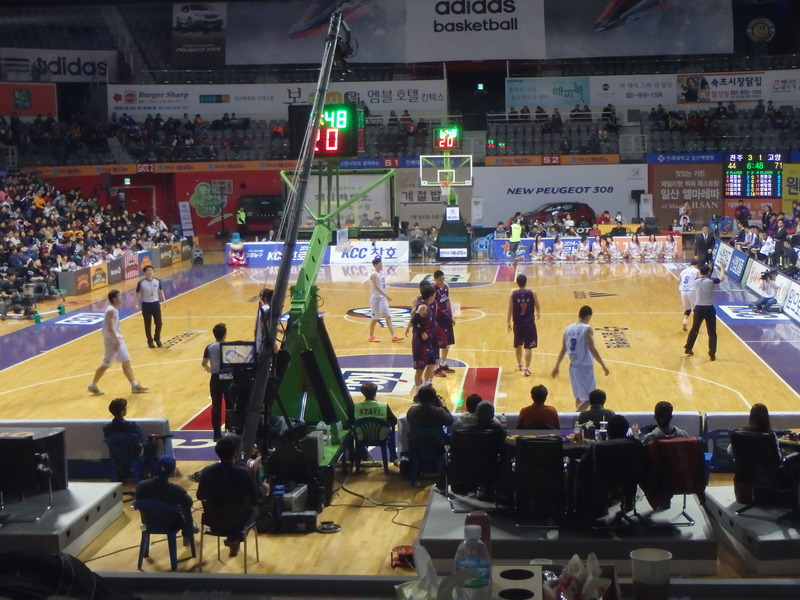 We were seated behind a plexiglass partition with a good view of the court. 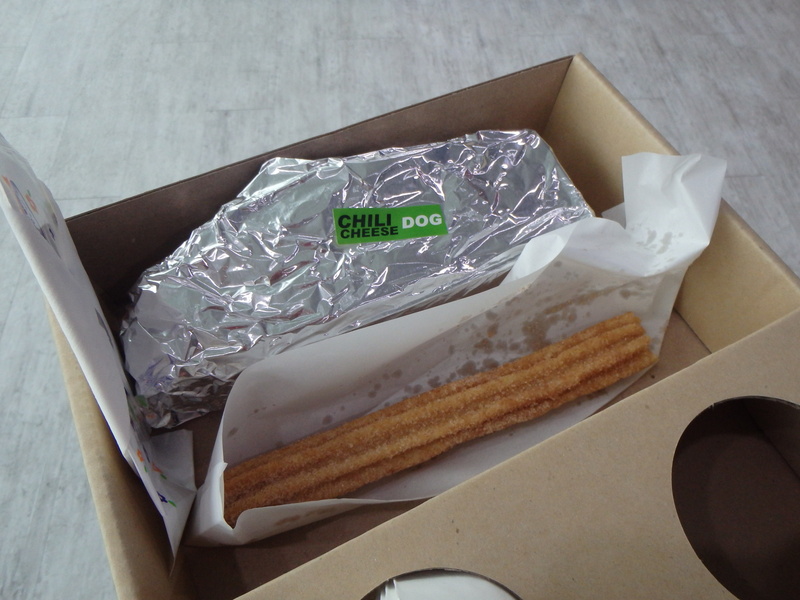 I did visit the one concession stand in the third quarter and got Zach a Texas Chili Cheese dog and myself a churro. 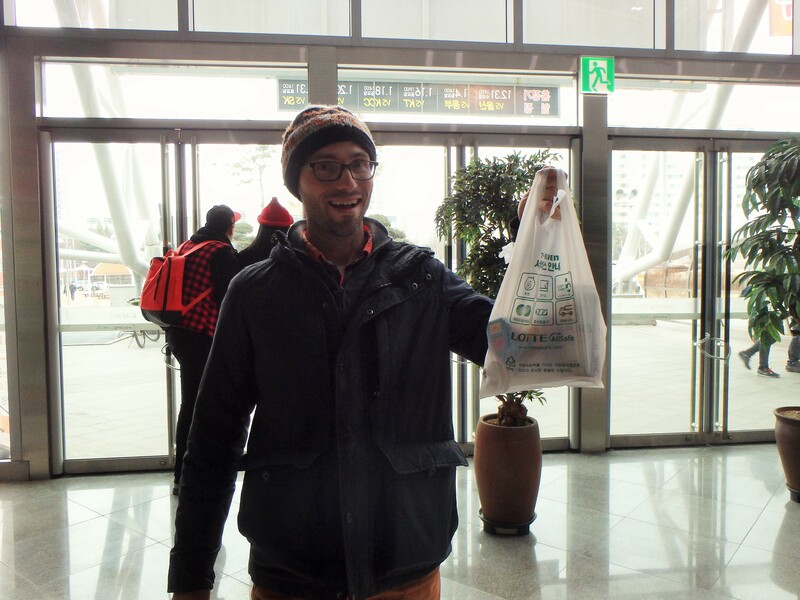 (Korea loves churros!) 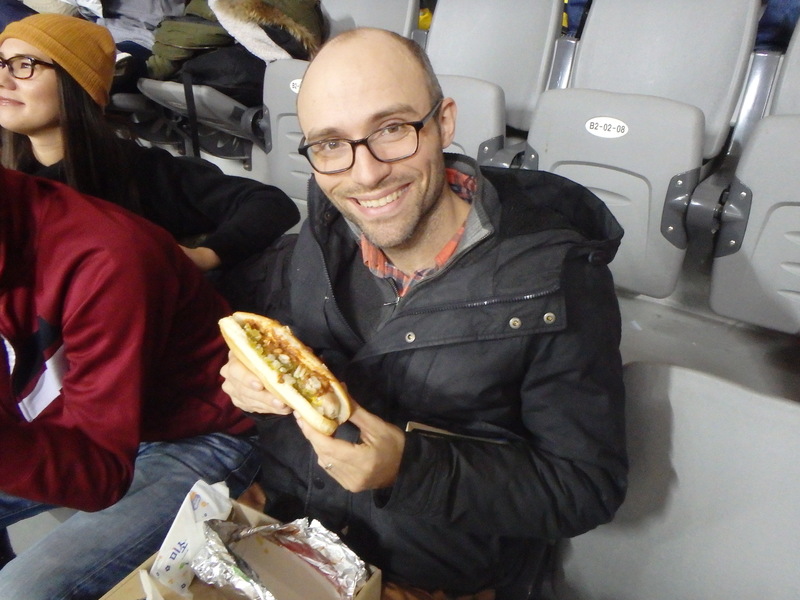 We made a shocking discovery once Zach started eating the hot dog – there was corn inside the wiener! Why?! That’s a kernel of corn!! All in all, it was a good time. 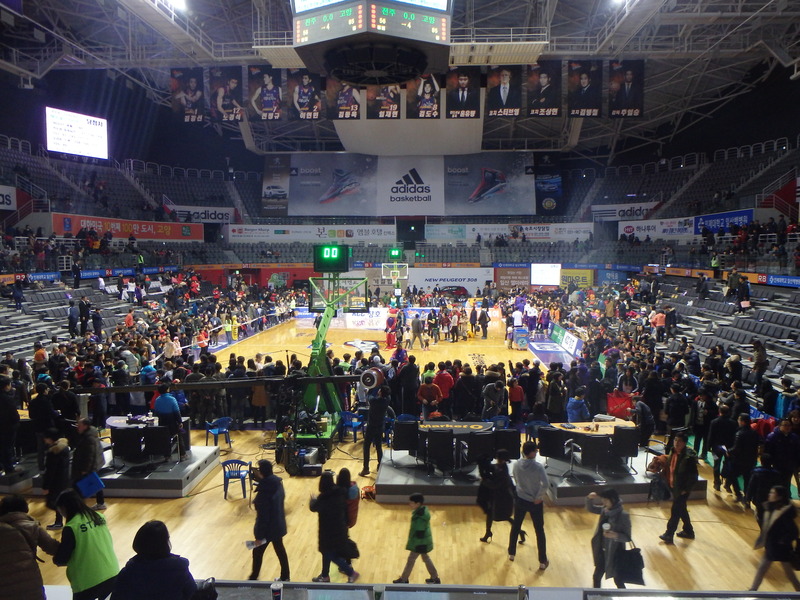 The Orions won, we got to enjoy it with a beer, there were cheerleaders, crowd paticipation games during time out, and a KPop boy band during half time. What more could you ask for? Looks like fun! Dude I wish we could bring our own snacks into things here. It would save so much money! 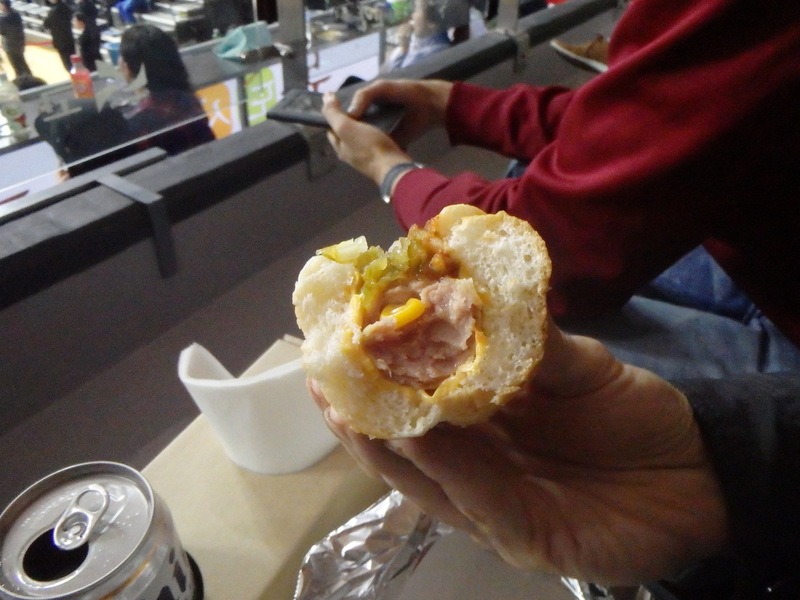 Yeah, but at the same time I kind of miss concession foods, like crappy nachos or a fountain soda. I doubt you’d have much trouble getting tickets even to a playoff game. 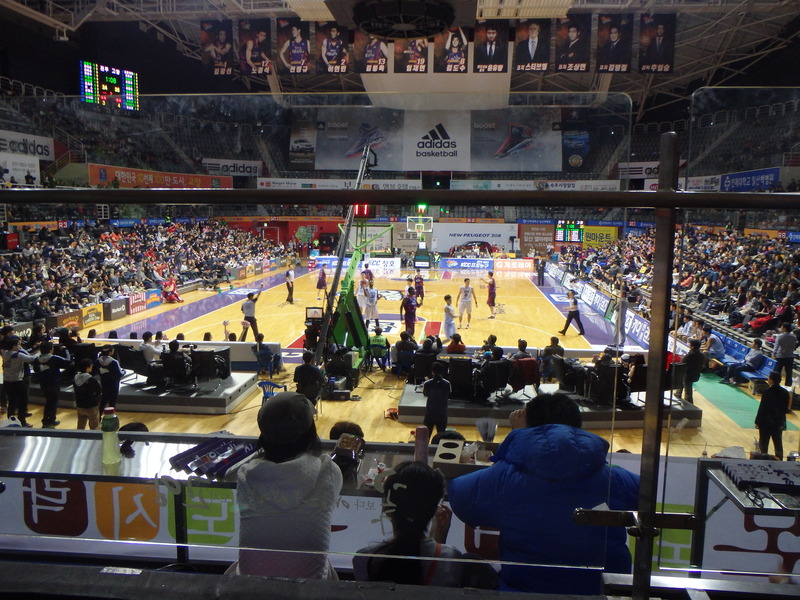 There were still lots of unfilled seats at our game. You can always show up an hour or so before the game to try and get tickets and then hang out at a coffee shop. Nice to hear from another Texan! Hope y’all are enjoying Korea!